As the festive season arrives, we speak to the staffing and RPO experts on the hiring outlook of online businesses. Here's a look at festive staffing so far. As the festive season unfolds and high consumer confidence increases, many online businesses have already announced their plans to hire contractual/seasonal workers. This year's festive season hiring outlook is kicked-off with a strong start as shared by Teamlease. Rituparna Chakraborty, President, Indian Staffing Federation, shares, “Online retailers giants like Amazon (50,000) and Flipkart (30,000) have already hired about 85,000 people. Another 70,000 new jobs will be added over the festive season." From August to January, when India celebrates a range of festivals, including Raksha Bandhan, Ganesh Chaturthi, Id-e-Milad, Diwali, Christmas and New Year, e-commerce companies sell goods worth around Rs 10,000 crore. The sector currently employs around one million people. Konika Chadha, Head of Search- Financial and Consumer Markets, Korn Ferry Professional Search and RPO shares that, “Demand for contractual or temporary workers has soared by 20 - 30 percent as compared to last year. 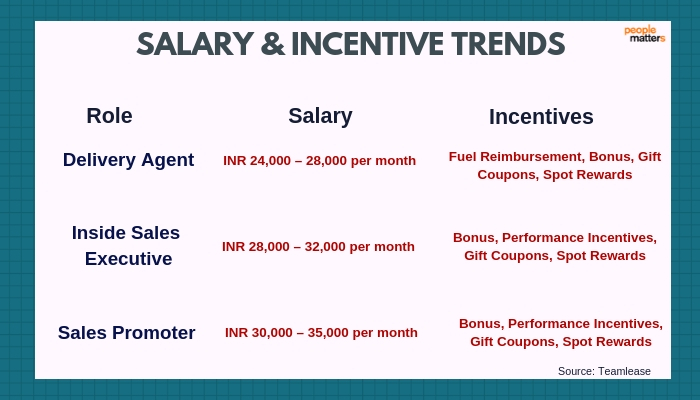 While there is demand for roles at the junior level in delivery and customer relations, there is also demand at the mid-management level in finance, operations, and digital marketing. Till some time there exists a war for talent between the e-commerce and mainstream segments. However, today with multiple sub-sectors evolving within e-commerce, we can witness a war for talent within these sub-sectors. Konika shares," We have seen a change in customer trends in not only using more e-commerce services for retail, but there is an increase in demand for food delivery as well. During the festive time, we also see a rise in seasonal workers in metros, who come from tier 2 and three cities and take up temporary employment. Konika shares that online companies are hiring in all departments and primarily in Supply chain /Logistics. Contractual workers are employed to handle sales, Operations (Packaging, Delivery, Logistics, Dispatching, Order Fulfillment, and Warehousing Facilities). 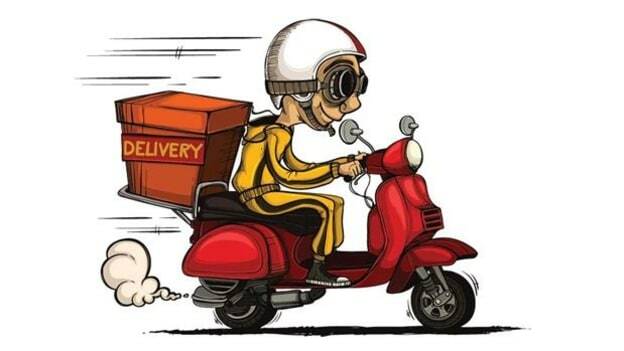 The food delivery companies have engaged thousands of delivery partners this year. While Fintech companies are hiring for Backend Developers, Java Developers, QA Testers, DevOps, Backend Frontend Testers, Products, Business Analysts with a salary cap of INR 20-50 LPA. E-commerce has ramped up hiring by 45% in segments such as warehousing, fulfillment, technology and last mile delivery. While there is a massive demand for contractual workforce in e-commerce during the festive season, the study found that the same role experience higher attrition levels between 18 -30 percent. Rituparna shares, "There is a fierce competition between for the talent within e-commerce firms which leads to frenzied hiring saddles companies with costs that last beyond the festive season and hence, the costs of facilities/incentives is raising the CTC to unreasonable levels. With the onset of festival season, People Matters brings you a series of articles based on massive hiring in e-commerce. 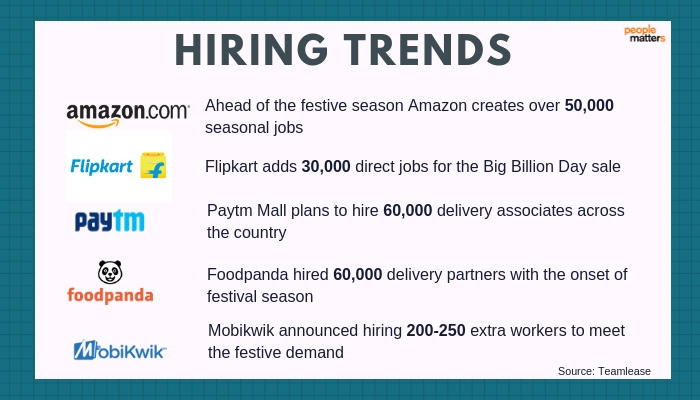 This article covered the hiring trends among e-commerce industries during festival season. Stay tuned for the next article in this series that covers the trends in salaries, rewards, and incentives offered to these seasonal workers.